With less than a month to go before Valentine’s Day, it might be time to start thinking about finding that special gift for your special someone. Thankfully, we’ve found a deal for you that will taste better than any candy bar. 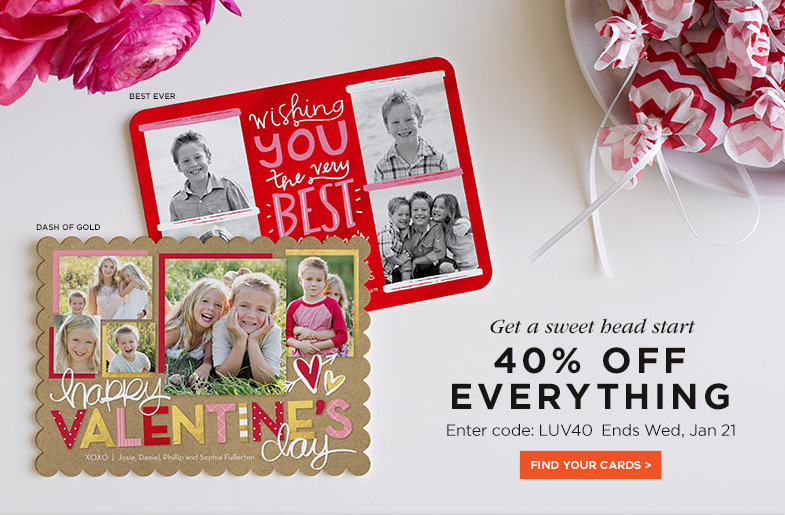 Personalization website Shutterfly is offering 40% off everything in its online storefront, giving customers a “sweet head start” on their Feb. 14 shopping. Ever shop a sale and realize the item you really want isn’t included in the markdown? You won’t have to worry about that here. The deal really includes everything, from photo books to cards and stationery. Just remember to input promo code LUV40 at checkout. This offer expires at 11:59 p.m. Pacific time on Jan. 21. Shop this deal at Shutterfly.